Yeovil Town have signed Lewis Young and Nathan Ralph on one-year deals. Winger Young, 22, is the brother of Manchester United midfielder and England international Ashley, and came through the ranks at Watford. 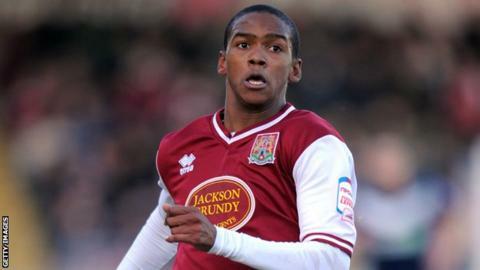 He joins the Glovers on a free transfer following his release from League Two side Northampton Town. Ralph, 19, who can play at left-back or on the wing, arrives at Huish Park after being let go by Peterborough at the end of last season. He spent the latter half of last term on loan at Kettering, where he made 14 appearances. "I know them both very well," Yeovil manager Gary Johnson told BBC Somerset. "Lewis I took with me to Northampton. He did very well in a side that was struggling at the time. "I had Nathan at Peterborough and both of them are potentially very exciting players. "If Lewis gets anywhere near his brother then we'll be very happy."